Open World is a government-sponsored event where Russian, and other Eastern European, professionals spend a week in our community continuing their education in their field of work. 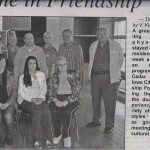 Saturday – Visited National Mississippi River Museum, Mississippi Lock & Dam at Eagle State Park, Dyersville Basilica, and enjoyed a pot luck dinner and met other club members. Monday – Educational experience begins with a visit to the Mercy care Community Physicians, Mercy Medical Center, and Hospice house learning about United Health Insurance, Medicare Insurance (Social Security), and Medicaid insurance. They toured the Clinic and had dialogue with physicians. Tuesday – Education continues with a visit to Marion Family Medicine & Urgent care and St. Luke’s Hospital and Surgery Center. 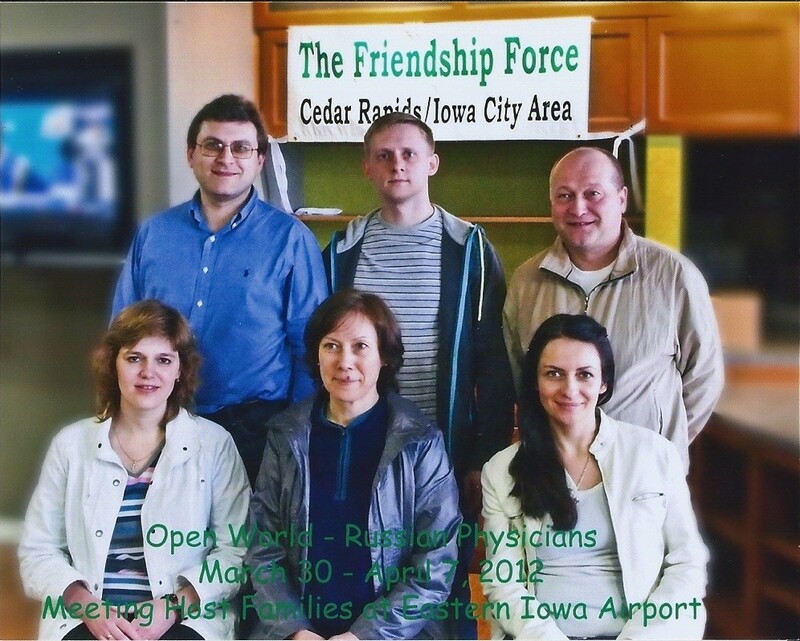 Discussions were held on Iowa Health System, Urgent Care, Physical Therapy, Blood Chemistry, and Robotic surgery. 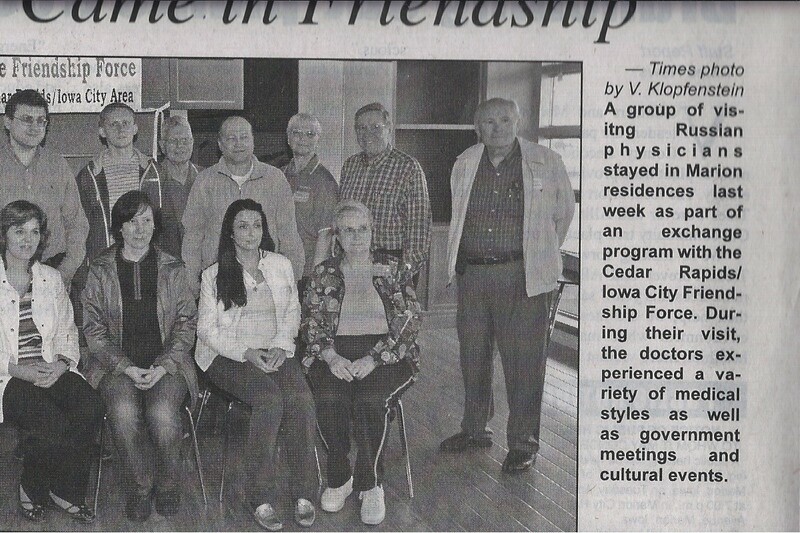 Wednesday – Group observed one of our members in a Cardiac Rehabilitation program and conversed with his cardiologist. The second half of the day was spent talking to Congressmen and Representatives to discuss regulations they deal with which affect the medical field. Thursday – The ambassadors were involved in a round table discussion with University Physicians on latest medical concerns. The day was ended with a tour of the Carver Medical School including discussion with professors and students. Friday – Individual Specialties was the focus including: Dermatology, Gastroenterologists, Medical Office Manager, Cardiology, and Hospital Administrator. The farewell dinner was held at Metro Buffet to wish the ambassadors a safe trip home and continued good work in their field of medicine. Hosts will remember the sharing over the evening dinners.